What's the Prism Payment Promise? 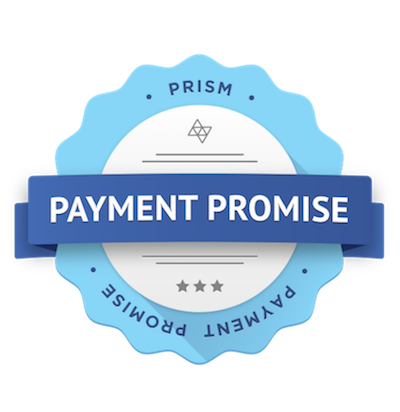 We created the Prism Payment Promise because you deserve to have complete peace of mind when paying your bills with Prism. When you pay a bill with Prism, we promise your bill will be paid on time, or we'll pay any late fees that you incur. Boom! We promise to facilitate your bill payments on the day Prism indicates. If you incur a late fee for a bill paid through Prism, we will reimburse you for the late fee amount. The Prism promise is limited to late fees incurred due exclusively to our error, and not caused by you, another third party, or circumstances beyond our control, such as incorrect payee information, incorrect payor information, or insufficient funds. Reimbursements are limited to a $1000 lifetime maximum per user.